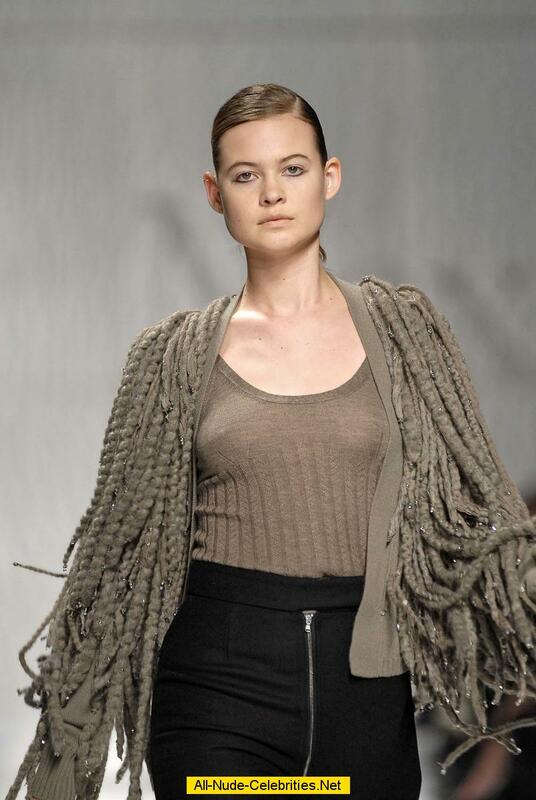 Prinsloo was born in South Africa, but raised in Grootfontein, Namibia. Her father was contracted to work in South Africa before she was born, but when she was three years old her family moved back to Namibia. She is the only child of father Louis Francois "Boet" Prinsloo, who is a church minister, and mother, Magda (née Rossouw), who runs a bed and breakfast. Her family are Afrikaners and she grew up speaking Afrikaans as her home language; she was educated in English. She attended Grootfontein Secondary School and left after Grade 9 to pursue modelling. Prinsloo has walked in fashion shows for Alexander Wang,Louis Vuitton,Miu Miu,Versace,Calvin Klein,Givenchy,Chanel,Alexander McQueen,Jil Sander, Marc Jacobs,Proenza Schouler,Christian Dior,Ralph Lauren,Anna Sui,Michael Kors, and Yves Saint Laurent. She has been on the covers of Vogue Spain,Vogue Turkey,Vogue Brasil,Vogue Mexico,Vogue Russia,Vogue Thailand,Elle France,Elle Spain,Elle Italia,Elle Sweden,L'Officiel Netherlands,Marie Claire Greece,Marie Claire South Africa,i-D Magazine,V Magazine,Russh Magazine,10 Magazine,The Edit,Jalouse, and So It Goes Magazine. Her ad campaigns include I Love Juicy Couture Fragrance, I Am Juicy Couture Fragrance, Juicy Couture Black Label, Tommy Hilfiger, Alexander Wang 'Do Something', T by Alexander Wang, Marc by Marc Jacobs,H&M,Nina Ricci,The Gap,Aquascutum,M Missoni,Sportmax,DKNY Jeans,Pepe Jeans, Lancaster, Stefanel,Esprit,Lacoste,Desigual,Seafolly,Nine West, and Raw Spirit Fragrance. In 2010, Prinsloo designed "Behati Loves Pink" swimsuit capsule collection for Victoria's Secret. In 2014 she designed a line of denim for THVM. Most recently she designed a fashion and accessories collection for Juicy Couture. Models.com ranks Prinsloo on their lists of 'The Top Sexiest Models' as well as their list of 'The Money Girls'. The night before the 4 December 2012 airing of the annual Victoria's Secret Fashion Show, Prinsloo and fellow Victoria's Secret models Jacquelyn Jablonski and Jasmine Tookes guest starred on 3 December "Ha'awe Make Loa" episode of CBS' Hawaii Five-0 playing themselves. In June 2014, Prinsloo made a cameo appearance in a preview of Missy Elliott protégée Sharaya J's "Shut It Down" via a T by Alexander Wang campaign. Prinsloo appeared in various music videos such as Maroon 5's "Animals", "Cold", "Wait" (Snapchat version) and "Girls Like You" and The Virgins' "Rich Girls". After taking a two-year hiatus from the Victoria's Secret Fashion show, Prinsloo returned to walk in the brand's 2018 show. Prinsloo has embarked on a charitable trip to Haiti, following 2010's devastating earthquake that caused irreparable damage to the small nation. Partnering with LakayPam, an organization dedicated to helping children in developing nations meet their basic needs, she collected and delivered hundreds of letters of hope from all over the world and helped raise funds. In May 2012, Prinsloo began dating Maroon 5 frontman Adam Levine, whom she married in Mexico on 19 July 2014. She gave birth to the couple's first child, a daughter named Dusty Rose, on September 21, 2016. On September 13, 2017, Prinsloo announced her second pregnancy on her Instagram account. Levine announced on The Ellen DeGeneres Show that they were expecting a girl. On February 15, 2018, Prinsloo gave birth to a daughter named Gio Grace. ^ "Behati Prinsloo". Fashion Model Directory. Retrieved 17 April 2012. ^ "Behati Prinsloo". Storm Model Management. Retrieved 4 December 2016. ^ a b "Behati Prinsloo". Storm Models. Archived from the original on 26 July 2014. Retrieved 5 September 2014. ^ "Behati Prinsloo - Model". models.com. ^ "My name is Behati". rokvillecreative. Retrieved 27 April 2014. ^ "Behati Prinsloo". People. People. Retrieved 13 October 2018. ^ "behati turns 30". people. ^ "Behati Prinsloo". AskMen. Archived from the original on 1 November 2012. Retrieved 7 March 2013. ^ "New Mom Behati Prinsloo Says She'll Return to the Victoria's Secret Fashion Show Next Year". 27 November 2016. ^ Wang, Connie. "Behati Prinsloo". Teen Vogue. Archived from the original on 11 June 2012. Retrieved 17 April 2012. ^ "Behati Prinsloo's model profile". New York Magazine. Retrieved 17 April 2012. ^ "Life With Behati Prinsloo!". ^ "Namibian pastor?s daughter makes it big in Europe, US modelling world - Informante". www.informante.web.na. ^ "Who Is Behati Prinsloo?". 20 November 2013. ^ "Prada Spring 2006 Ready-to-Wear Fashion Show - Vogue". ^ a b c "Top 10 New Faces FW 06: Behati". ^ Modelcouture, Singingpicklewrote in; 17:56:00, 2007-02-12 17:56:00 Singingpickle Singingpickle Modelcouture 2007-02-12. "(no title)". ^ "Louis Vuitton Spring 2008 Ready-to-Wear Fashion Show - Vogue". ^ "Miu Miu Spring 2007 Ready-to-Wear Fashion Show - Vogue". ^ "Versace Spring 2016 Ready-to-Wear Fashion Show - Vogue". ^ a b Okwodu, Janelle. "Behati's Best: From Prada Exclusive to Victoria's Secret Angel". ^ "Alexander McQueen Fall 2006 Ready-to-Wear Fashion Show - Vogue". ^ "Ralph Lauren Fall 2006 Ready-to-Wear Fashion Show - Vogue". ^ "Anna Sui Spring 2011 Ready-to-Wear Fashion Show - Vogue". ^ "Michael Kors Collection Spring 2007 Ready-to-Wear Fashion Show - Vogue". ^ "Saint Laurent Fall 2006 Ready-to-Wear Fashion Show - Vogue". ^ "Vogue Espana April 2014 Cover (Vogue Espana)". ^ "Vogue Turkey March 2015: 5th Anniversary Covers (Vogue Turkey)". ^ "Vogue Brasil August 2015 Cover (Vogue Brasil)". ^ "Vogue Mexico November 2013 Cover (Vogue Mexico)". ^ "Vogue Russia February 2007 Cover (Vogue Russia)". ^ "Vogue Thailand April 2016 Cover (Vogue Thailand)". ^ "Elle France February 2012 Cover (Elle France)". ^ "Elle Spain July 2015 Cover (Elle Spain)". ^ "Elle Italia October 2013 Covers (Elle Italia)". ^ "Elle Sweden June 2010 Cover (Elle Sweden)". ^ "L'Officiel Netherlands September 2012 Cover (L'Officiel Netherlands)". ^ "Marie Claire Greece June 2016 Cover (Various Covers)". ^ "Marie Claire South Africa May 2010 Cover (Various Covers)". ^ "i-D Magazine Summer 2011 Six Covers (Preview) (i-D Magazine)". ^ "V Magazine Special Edition: 19 Covers by Paul Rowland (V Magazine)". ^ "Russh January/Feb 2009 (Russh)". ^ "10 Magazine Spring/Summer 2015 Covers (10 Magazine)". ^ "The Edit July 24, 2014 Cover (The Edit (Net-A-Porter Magazine))". ^ "Jalouse June 2013 Cover (Jalouse)". ^ "So It Goes Magazine October 2015 Cover (So It Goes Magazine)". ^ "I Love Juicy Couture Fragrance 2016 (Juicy Couture)". ^ "I am Juicy Couture Fragrance 2015 (Juicy Couture)". ^ "Juicy Couture Black Label S/S 2016 (Juicy Couture)". ^ "Tommy Hilfiger S/S 16 (Tommy Hilfiger)". ^ "Alexander Wang Do Something Campaign 2015 (Alexander Wang)". ^ "T by Alexander Wang Summer 2014 (Alexander Wang)". ^ "H&M F/W 11 (online) (H&M)". ^ "Nina Ricci F/W 2006 (Nina Ricci)". ^ "Aquascutum S/S 2006 (Aquascutum)". ^ "M Missoni F/W 2007 (Missoni)". ^ "Sportmax F/W 2007 (Sportmax)". ^ "DKNY Jeans S/S 2008 (DKNY)". ^ "Pepe Jeans S/S 14 (Pepe Jeans)". ^ "Lancaster Paris Holiday 2015 (Lancaster Paris)". ^ "Stefanel F/W 13 (Stefanel)". ^ "Esprit Bodywear and Swimwear S/S 13 (Esprit)". ^ "Lacoste S/S 09 (Lacoste)". ^ "Desigual F/W 12 (Desigual)". ^ "Seafolly Summer 2012 Campaign (preview) by David Gubert (Seafolly)". ^ "Nine West F/W 08 (Nine West)". ^ "Raw Spirit Fragrances 2016 (Various Campaigns)". ^ Phelan, Hayley. "Victoria's Secret Supermodel Behati Prinsloo Dishes on Her New Line". ^ Johnston, Emma Chong. "Behati Prinsloo Designs THVM Capsule Collection". Archived from the original on 20 December 2016. Retrieved 12 December 2016. ^ "Behati Prinsloo on her new collection for Juicy Couture". 18 April 2016. ^ "Behati Prinsloo - Model". ^ "VS Angel Behati Prinsloo Guest Stars on Hawaii Five-0 showing them modeling for Victoria's Secret. This Monday". Victoria's Secret. 30 November 2012. Archived from the original on 5 December 2012. Retrieved 5 December 2012. ^ "Watching The Week > Film > 3. T by Alexander Wang 2014 Campaign". HUNGERTV.com. 8 June 2014. Retrieved 10 June 2014. ^ "Adam Levine's Adorable Reaction to His Wife Behati Prinsloo's Victoria's Secret Fashion Show Return". ELLE. 9 November 2018. Retrieved 20 November 2018. ^ a b "Letters to Haiti featuring Coco Rocha & Behati Prinsloo - Fashion Magazine - News. Fashion. Beauty. Music. - oystermag.com". ^ Ltd, UI Farm. "Save The Date: Letters To Haiti – December 7 at Milk Gallery - Women Management". ^ Dam, Julie (16 July 2013). "Adam Levine Engaged to Behati Prinsloo". People. Time Inc. Retrieved 31 May 2014. ^ Nessif, Bruna (19 July 2014). "Adam Levine and Behati Prinsloo Are Married!". E! News. Retrieved 21 July 2014. ^ French, Megan (22 September 2016). "Behati Prinsloo, Adam Levine's Baby Dusty Rose Is 'Beautiful': Details". Us Weekly. United States: Wenner Media LLC. Archived from the original on 23 September 2016. Retrieved September 22, 2016. ^ "Behati Prinsloo Is Pregnant With Her Second Child!". Us Weekly. Retrieved 13 September 2017. ^ "Adam Levine Reveals Gender of Baby Number Two". ^ Pasquini, Maria; Chiu, Melody (16 February 2018). "Adam Levine and Behati Prinsloo Welcome Daughter Gio Grace". People Magazine. Retrieved 16 February 2018. ^ "Model Profile: Candice Swanepoel". New York. Retrieved 19 June 2013. ^ McCall, Malorie (1 December 2015). "Selena Gomez & Victoria's Secret Angels Can't Keep Their Hands to Themselves in Lip-Sync Video: Watch". Billboard. Retrieved 7 January 2019. ^ Krzaczek, Katie (17 January 2018). "Maroon 5 Debut Snapchat-Filtered 'Wait' Music Video". Billboard. Retrieved 26 January 2018. ^ Amatulli, Jenna. "Maroon 5, Cardi B's 'Girls Like You' Video Is A Star-Studded Dance Party". HuffPost. Archived from the original on 31 May 2018. Retrieved 31 May 2018. ^ Glicksman, Josh. "Maroon 5 Releases New Version of 'Girls Like You' Music Video: Watch". Billboard. Retrieved 31 December 2018.